Come and let Lynn show you all the tips and tricks to using the Sew Kind of Wonderful Quick Curve rulers. You will be using the regular and the Mini Quick Curve Rulers to make these adorable owls in different sizes. Lynn Wheatley's passion is quilting! Quilting for over 30 years, she especially enjoys the satisfaction of teaching and sharing her experiences with quilt design, piecing techniques, and utilization of tools for quilt construction. Lynn teaches a wide variety of quilting techniques including traditional and curved piecing, with a Modern and Contemporary style as well as Collage. 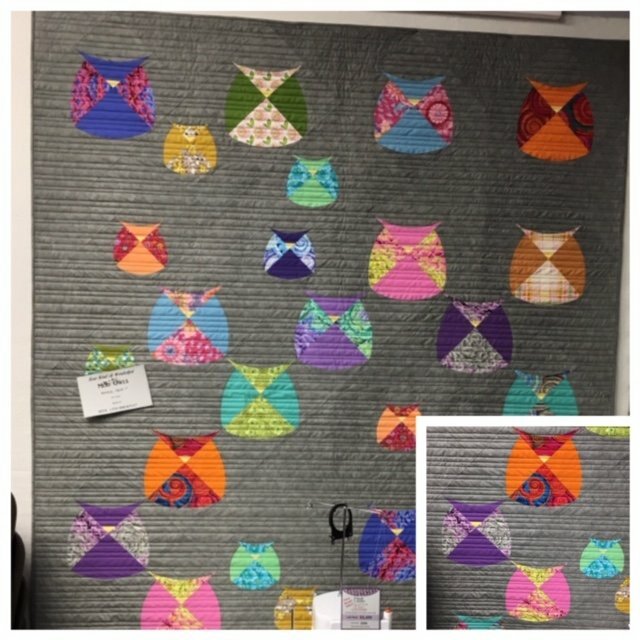 For projects large and small, Lynn loves working through every step of the process to help students learn new skills and techniques, from beginner to accomplished quilter. Lynn brings her personal touch of patience, organization, and encouraging style to the classroom. Lynn spends her days following her passion by longarm machine quilting, designing, teaching, vending and demonstrating at retreats, shops, guilds and Quilt Shows throughout the USA.